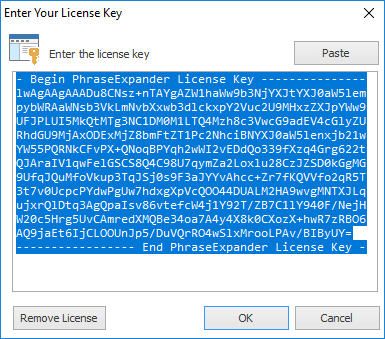 When you purchase your license of PhraseExpander (or renew your upgrade protection), you'll receive a new license key that you need to install. 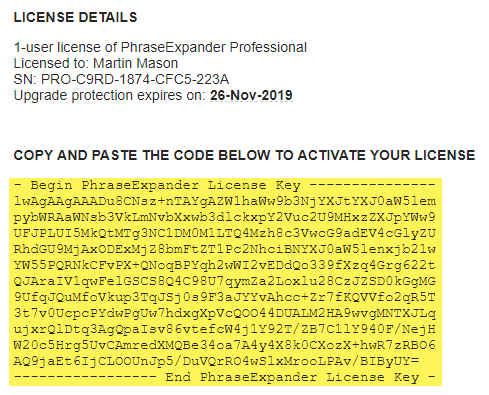 Copy the license key you received by email (shown highlighted in yellow) into the Clipboard. Click OK to confirm. PhraseExpander needs to restart to detect the new license, so click on File → Exit to quit PhraseExpander and then restart it.